What is Nanotechnology Used for Today? Have you ever caught your self wondering , just what is nanotechnology used for today? Nanotechnology controls matter on an atomic level, modifying its effects to achieve desired results. Its uses are therefore extremely numerous. Any substance in existence can be broken into molecules and tampered with in order to give it different properties and abilities. The universality of nanotechnology means that it is being applied to almost every facet of modern life. Miraculous effects can be achieved by engineering nanoparticles; for example, researchers have already developed wool and silk that can clean themselves because their altered particles “eat” stains. Self-cleaning household products are also being developed. The time is not far distant when you’ll be able to spray a nano-chemical onto the grime in your kitchen and watch it disappear and practically never come back, since many nano-chemicals also prevent grime from accumulating. Researchers have also develope d “nanocomposites,” a cluster of nanoparticles from different elements that can, among other things, solve the pollution problem. The Pacific Northwest National Laboratory, for example, has discovered how to alter silica particles so that they attract and capture toxic particles in water. Known as Self-Assembled Monolayers on Mesoporous Supports (SAMMS), they can de-toxify extensive bodies of water in a matter of hours. This could go a long way towards removing and reducing water pollution in several ways, and since water pollution is one of mankind’s most pressing modern problems, that’s saying a lot. It also appears that the same technique might be extremely helpful when applied to copper. Micro-engineering copper particles may allow them to soak up radioactive waste materials. On a lighter note, one of the characteristic features of nanomaterials is their ability to be both lightweight and extremely strong at the same time. Chicago-based Wilson Sports noticed that strong and light is the perfect recipe for a good golf club, and acted accordingly. Wilson offers a line of three drivers, a fairway wood, four types of golf balls, and even a golf bag made entirely from nano-engineered materials. Back in 2004, they also toyed with nano tennis rackets, which are now touted for their superior qualities. Other sports goods manufacturing companies are trying to follow suit but have been struggling to catch up with Wilson’s massive head start; most competitors are still in the research stage when it comes to nanotechnology. You might be surprised to find that you’re putting nanoparticles on or next to your body every day. Certain sunscreen brands have seen fit to incorporate nanotechnology into their products; the use of molecularly-engineered materials means that these sunscreens are many times more effective at absorbing light than normal brands. Nanoparticles are especially good when it comes to UV rays. Their minute particle size enables them to cover more skin with less cream base and since they spread more easily, you use less of the sunscreen and theoretically save money. Also, for those who like to get picky about their sunscreens, nanomaterials are transparent in nature rather than having that sticky white consistency we all know and love. Preliminary nano-sunscreens have been in circulation since early this century; in 2001 they had taken over 60% of the Australian sunscreen market. So the next time you are wondering what is Nanotechnology used for today? remember that when your putting on the sun block! Soon, other sunscreen makers will be virtually compelled to employ nanotechnology in their sunscreen production, or watch as the market leaves them behind. This light-repelling ability can also be used for packaging. After all, in many cases UV rays and other forms of light are responsible for a great deal of spoilage during transportation and storage. When it comes to food and other sensitive products, plastics and packaging industries aren’t blind to the fact that a healthy dose of nanotechnology will do them a lot of good. They can enable their products to last longer and perform better in many ways by simply tweaking the molecules around a little bit, thereby saving both themselves and their consumers a lot of money. 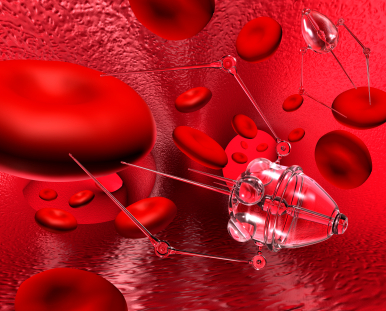 Nanotechnology will also revolutionize the medical field, and has begun to do so already. Scientists have developed a type of synthetic bone based on nanoparticles simply by engineering the components that real bone is made of. AngstroMedica has taken calcium and hydroxyapatite, a phosphate composite, broken them into their molecular components, and then made minor adjustments to those components. The resultant growth is identical to natural bone in both structure and composition and makes an excellent synthetic substitute in areas where natural bone is missing or broken beyond repair. Medical personnel anticipate that it will be widely used for treating fractures and soft tissue injuries. A variety of other nanotechnology applications are making similar inroads in the medical community. The energy arena is also seeing radical new techniques evolve thanks to nanotechnology. The Shenhua Group constitutes China’s largest coal company collective. They recently purchased a license from Hydrocarbon Technologies that will allow them to liquefy coal and turn it into gas, consequently revolutionizing the way the energy industry functions. Many countries, including China and the U.S., possess large natural reserves of coal that have never completely paid off for their economies because of the superior popularity and performance of gasoline. Now the balance of power may be poised to shift. This stunning new technology employs a gel-based nanoscale catalyst. Before the invention of this catalyst it was possible to turn coal into gas, but it the cost outweighed the benefit. Nanotechnology has furnished a faster, more efficient, and less expensive version of this process. Even companies like NASA have found a direct application for this emerging science, as they anticipate using nano-engineered carbon tubules for the creation of the epic “Space Elevator,” scheduled to be up and running sometime in the next 30 years. This elevator would change our world forever by creating a permanent link to the solar system around us. One end would be anchored to a large station in the ocean, and the other end to an asteroid already in orbit. The cable running between these points needs to be made of the strongest yet lightest material possible and nanocarbon fits the bill perfectly. With this elevator, mankind will be able to send passengers and cargo into space on a regular basis at greatly reduced cost. Thanks to nanotechnology, conquering the final frontier is going to be one wild ride. This entry was posted on June 30, 2009, 7:47 am and is filed under nanotechnology. You can follow any responses to this entry through RSS 2.0. You can leave a response, or trackback from your own site.